Are you sure that caller was from your utility or service provider? Don’t get scammed! Learn how to identify and stop electric utility scams in Ohio! Door to door salespeople want to see my Ohio electric bill! If someone ever offers you the best Ohio electric rate that sounds too good to be true, walk away! Law enforcement and the Public Utilities Commission of Ohio (PUCO) are on alert because there’s been an awful LOT of electric utility scams in Ohio. Some scams use door-to-door salespeople or telemarketers pitching cheap Ohio electricity rates. Others involve a fake utility representative threatening to turn off power. Either way, the scammers are convincing enough to trick victims out of their money and sometimes even steal their identity. Here’s how many of the scams work and what you can do to protect yourself and your family. What do you do when salespeople at your front door say they represent your local utility? By all accounts, they look like who they say they are; orange safety vest, clipboard, friendly smile, and they know your name. They also claim they can help lower your electric bill if they can see your most recent electric bill. DON’T DO IT! Consider that your local utility already has your billing information. That a representative needs to know it should set off alarm bells. While most retail electric suppliers in Ohio and their contractors follow PUCO’s door-to-door sales rules, there are clearly some individuals who will either do anything to make a buck or they’re trying to steal your personal information. First, consider that your electric bill contains billing ID information that a dishonest marketer can use to change over your service without your express permission (called “slamming”) just by getting you to sign a form. In most cases, Ohio utilities only send someone to collect payment if your account is past due and you have been notified of disconnection. Some scams go door to door with some trying to con money out of customers pay all or some of their supposedly “past due” bill. Furthermore, other con artists will offer to perform an “energy audit” or some other service. But, once you let them into your home, they use chance to steal your valuables. This past February, Bucyrus, OH, police received numerous phone calls from area residents about scam phone calls claiming to be from AEP Ohio and offering senior citizens discounted utility service. AEP Ohio confirmed the caller was not an employee and was stealing personal billing and bank account information. According the Better Business Bureau (BBB) 2018 Scam Tracker Risk Report, “Phones were the top means of contact overall for the third year in a row.” Nationwide, utility scam victims suffered a median financial loss of $500. Scammers typically demand payment through a prepaid gift card. Con artists are using technology to their advantage. In particular, they rely on caller ID spoofing to help their scam appear legit. Scammers use computer software to display the Caller ID information they want — including that of a local utility. In 2017, AEP Ohio warned customers that scammers were able to display AEP Ohio’s name as the Caller ID. To add to the deception, scammers copy utilities’ telephone messages systems. 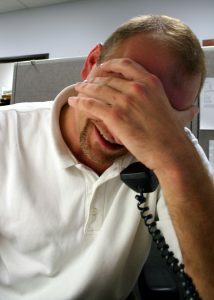 That way, when customers call the scammer’s phone number, the scammer’s responses seem like they are legitimate. Threats to shut off power unless the customer makes an immediate payment. Telling customers they need a new meter and that they must pay for it in advance. Offering a discount on their electric bill if they sign up for auto-pay. Demands immediate payment on a deposit. How Can I Protect Myself from an Ohio Electric Utility Scam? — Electric meters are owned by the local utility.The utility has the responsibility to maintain it. Homeowners are responsible for the gray metal enclosure that protects the meter’s connections (called a “meter base” or “meter box”). Local electric utility employees have the right to access your meter in order to read, repair, or test it. Consequently, they must provide you with identification and the reason they are at your property. —Customers have 14 days to pay a bill once it arrives. All utilities must notify customers 14 days before power can be turned off. These service disconnections are restricted to normal business hours. That way, you have time to properly pay your bill by credit card, check, over the phone, or at an authorized agent. Utilities and electricity providers never require payments through prepaid gift cards. —Ohio electricity switching rules are designed to protect consumers. Don’t agree or sign anything when you don’t want to. Tell the salesperson or caller that you want receive more information. Or —just close the door or hang up. —Ohio electric utilities and providers can only request a deposit be paid at the beginning service. A utility has 30 calendar days from the beginning service to demand a deposit. Also, utilities cannot charge you a deposit more than 130% of your estimated average monthly bill for 12 months. However, utilities can require deposit to reestablish creditworthiness after a service disconnection. Remember that Ohio’s utilities do not request personal information to make a payment. They have your customer information already. Don’t provider callers with additional personal information like account numbers, credit cards, Social Security numbers, and your phone number. If you suspect the call is suspicious, hang up. Call the customer service phone number on your electric utility bill or at your provider’s website. If you receive a suspicious phone call saying your bill is past due, check your account on line or on your printed bill. Do not call back the number. Contact your utility or provider using the customer service phone number on your bill. Ohio Energy Ratings helps electricity customers all over Ohio stay informed about the news and issues affecting their electricity rates. By staying informed, customers can shop electric retail providers and compare them apples-to-apples. Comparing plans with Ohio Energy Ratings will help you find the best plan for your family’s needs and save money. Check out all your options for a cheaper electric rate today at https://www.ohenergyratings.com/electricity-rates.